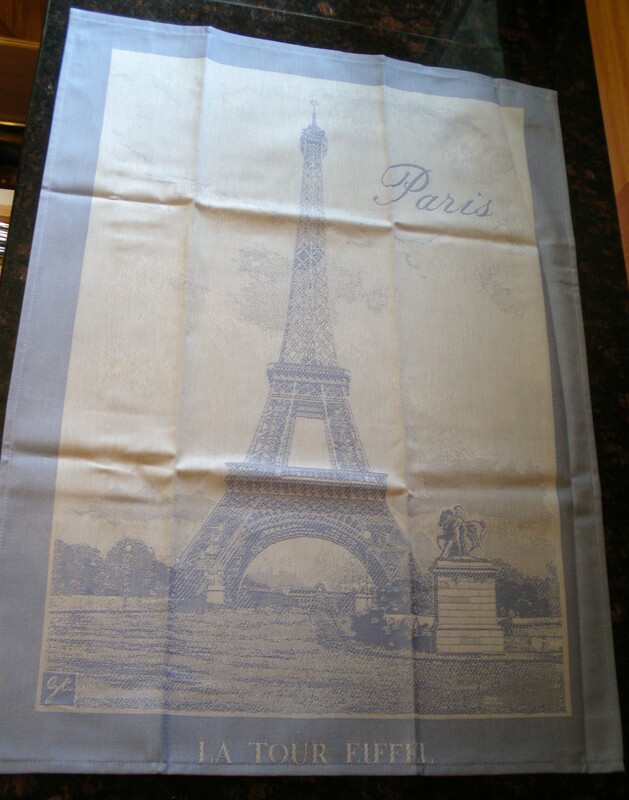 Made in France by Jacquard Français and Garnier-Thiebaut, old traditional manufacturers of table linens. 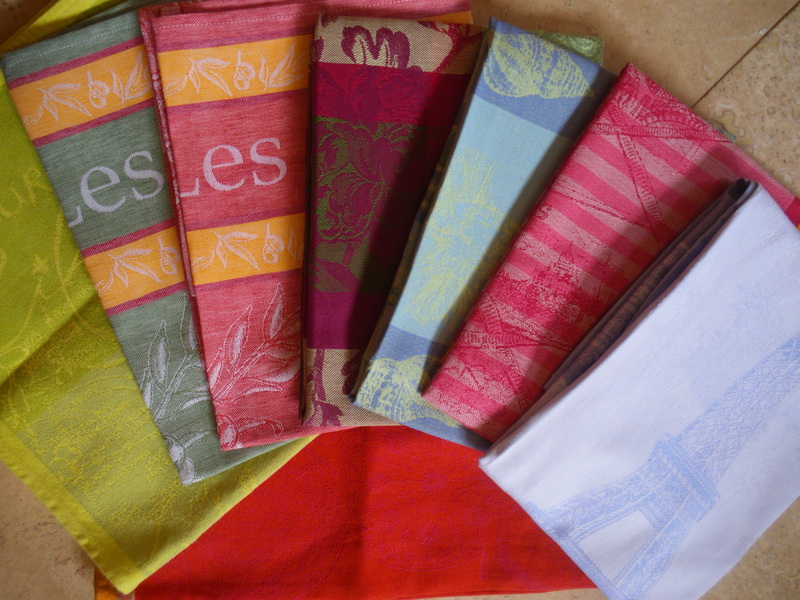 I picked those dish towels for their amazing vibrant colors. It was an idea from my friend Jennifer and they make my kitchen look like it is out of a magazine. They are the least costly kitchen reno you will ever do and day after day, these dish towels will brighten the life of all cooks. Some are 100% cotton and some are a blend of cotton and linen. 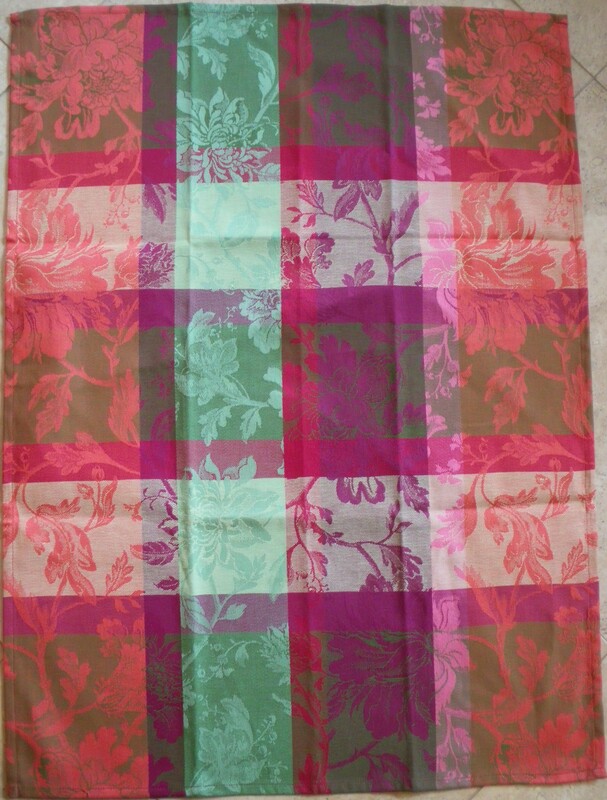 They all wash easily, the stains disappear in the jacquard fabric. 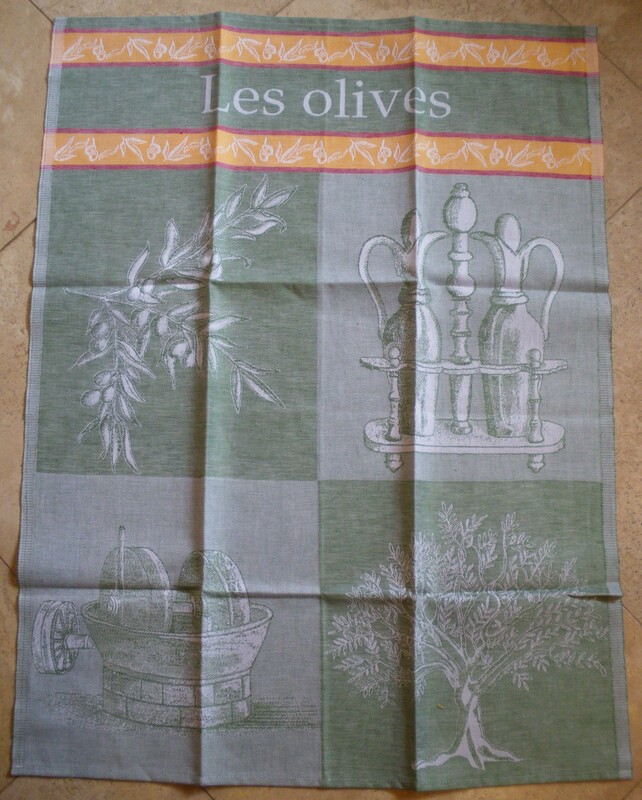 I bought the dish towels in Romans in the Drome Valley in South-east France at a factory outlet called Avenue des Marques. I saw them again later at the Paris duty-free for the same retail as in Canada, and I felt very clever to have got them at Avenue des Marques. I use my dish towels for dishes, as hand towels, to dry French fries, and just for decoration too! 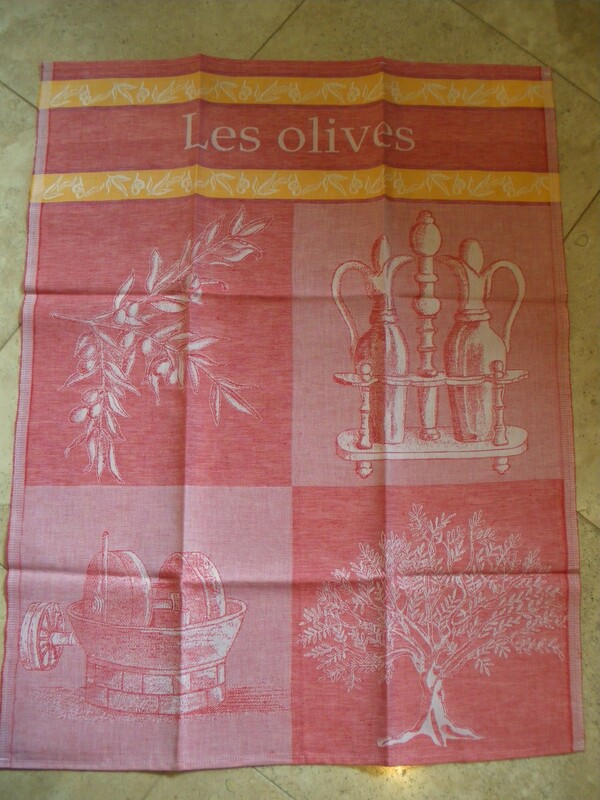 This entry was posted in Stuff and tagged cooking, culture, dish towel, food, garnier thiebaut, jacquard francais, kitchen, recipe, recipes, travel. Bookmark the permalink. These are gorgeous! And you are so right about something as small as that making all the difference to the kitchen decor. While some of them are truly beautiful..the Eifel Tower one makes me nostalgic. Sigh!